Holidaymakers from across the world flock to the island of Maldives to experience the most romantic and exotic escapades of their lives. The image of glistening white sand, crystal blue lagoon and swaying palm-trees attract tourists from all over the world. This far-flung and exotic island experiences near perfect weather throughout the year. Hence, any time is good time to visit this beautiful destination and exotic Maldives beaches.Maldives is an archipelago of 1192 small coral islands out of which only 80 are inhabitable. Nature played the role of a perfect magician in bejeweling this island with every aspect of celestial beauty. For those who are in search of a quintessential destination for celebrating love, planning a Maldives tour can be a good option. If there is one place on earth that provides the perfect backdrop for a romantic holiday then it certainly is this island set apart from rest of the world. Honeymoons are meant to be wondrous, secluded and intimate after all. Imagine enjoying a dinner with your partner on a moonlit night besides gleaming waters. The tranquility of beachside ambience, romantic dinner and an impeccable moonlit night, accompanied with the occasional flickers of candle will feel surreal. During day, the island seems almost like a floating pearl in the Indian Ocean. 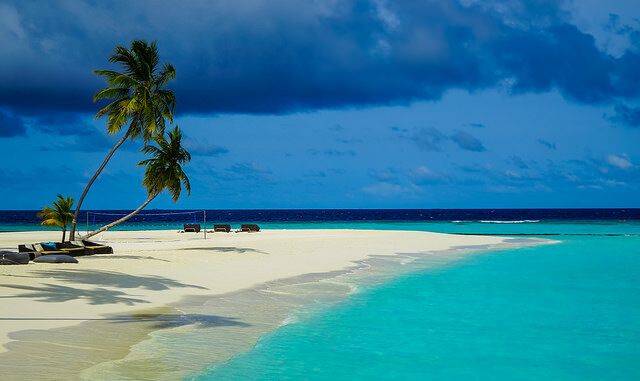 Maldives is home to some of the most beautiful beaches in the world. 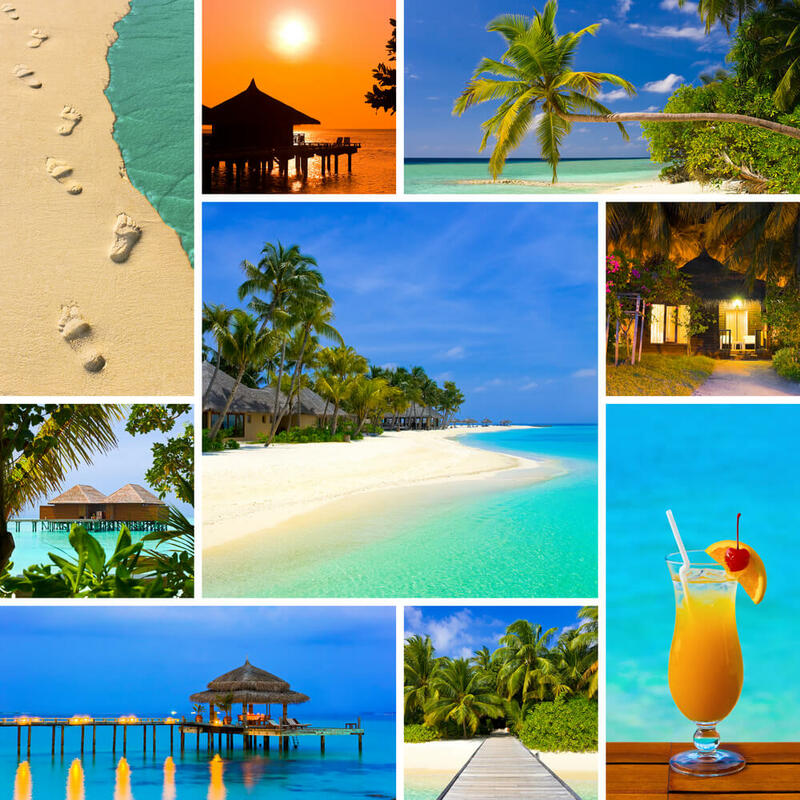 The peaceful and exotic Maldives beaches along with 5-Star hospitality and facilities offered by beach-side resorts located across the islands are the key to a perfect holiday. Fihalhohi, Angana, Biyadhoo and Reethi Beach are few of the popular destinations that you could visit during your Maldives Holidays. For those who love to soak their feet in waves splashing on the sea-shore, the sprawling beach of Meed can be a good option. Mirihi beach on the other hand is for those who have fondness for a little bit of adventure. 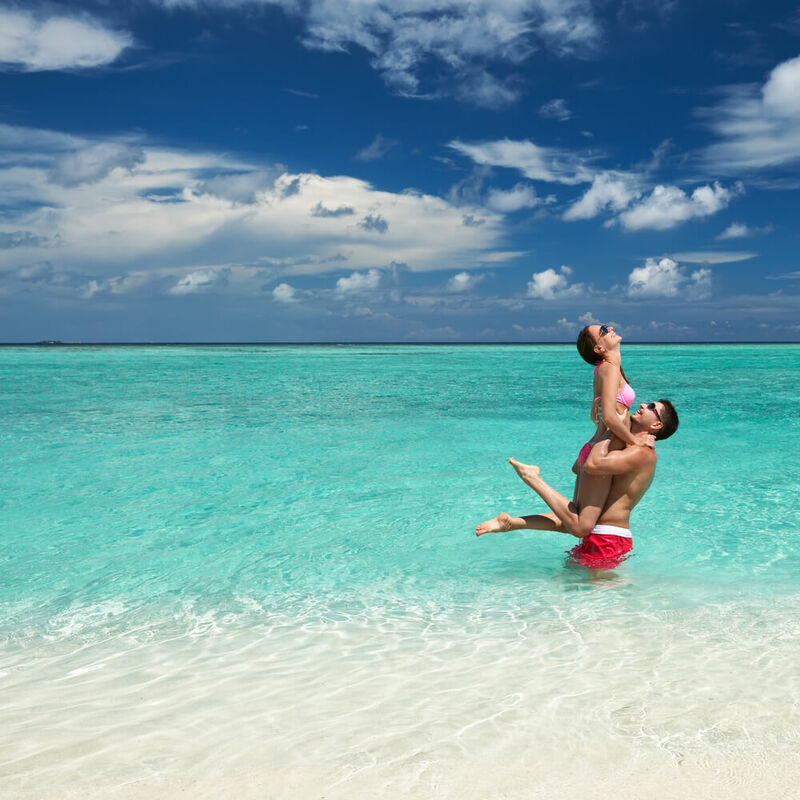 Maldives is not only about spending a leisurely and luxurious time with your partner; it is about enjoying your share of adventure sport as well. Maldives is often regarded as the water sport heaven because of the enviable array of adventure sports that take place here. For those who get easily bored with the idea of sitting and lounging all day long, the palm-fringed archipelago offers some excellent option of water sports as well. Tourists can try out snorkeling, diving, water skiing, wind surfing, wakeboarding and paragliding options while on the Serene Maldives Fusion packages. Maldives beaches will woo you. Tourists can try out snorkeling, diving, wind surfing & paragliding options while on the Serene Maldives tour. Maldives beaches will woo you.